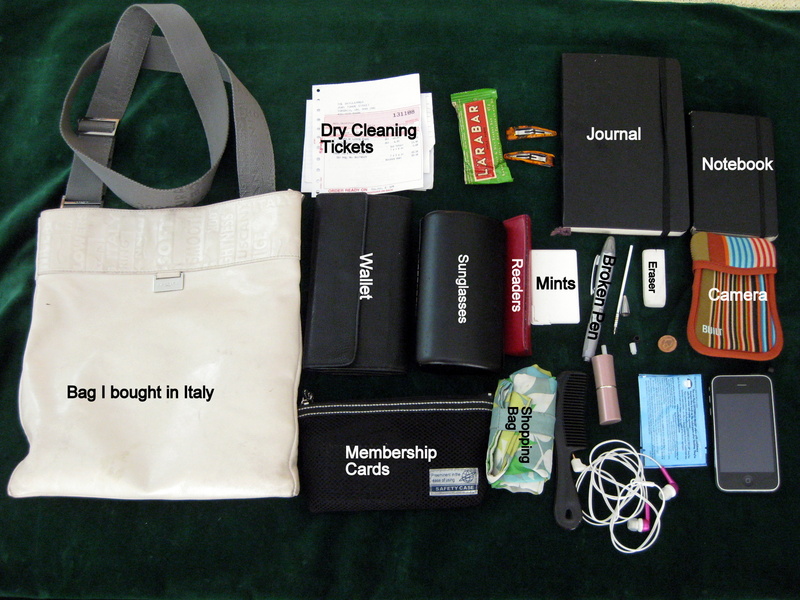 The Moleskine fan page on Facebook is asking people to send in pics of their bag contents (including, of course, their Moleskine(s)). Here’s mine! The big notebook is a journal/scrapbook and the smaller one is a notebook that I use for lists, measurements, books to read, etc.